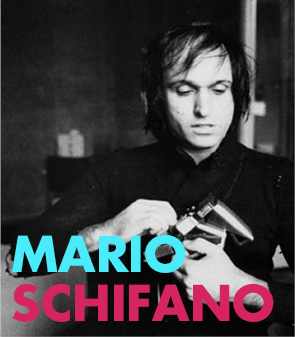 Mario Schifano is born in Libya (Homs) in 1934. Arrived in Rome with his family in the postwar period he initially works restoring vases and planning graves for the Etruscan Museum of Valle Giulia. Soon however emerges his desire of painting that was evident during his first solo exhibition in the Appia Antica Gallery in Rome in 1959, with artworks characterized by drips and body language. With the collective exhibition in 1960 in Salita (Five Roman painters: Angeli, Festa, Lo Savio, Schifano, Uncini), the artist inaugurates a fervent season that will last more than one decade in which he will have success with criticism and he recived prizes among which the Lissone Prize 1961 and the Fiorino Prize, New Generation (Florence 1963). His painting is characterised above all by the use of the monochrome expressed on papers glued on canvas and covered only by a color. In Schifano's works is strong the attention to the technology and the reproduction of images, to the music, to the publicity, to the photo and the cinema. In fact the first years of the '70s open with the series of emulsified canvas where images from television are extrapolated and brought on canvas and submitted to interventions of color. The attention of the criticism allows his presence in important exposures not only in Italy (Rome, Venice, Ferrara, Milan, Verona) but also, and especially in the '90s, abroad (Paris, San Francisco, Oporto, Frankfurt, London, Bruxelles, New York, Beijing). Schifano dies the 26th January 1998 in a Roman hospital. 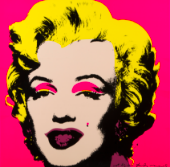 Schifano has been a particularly beloved artist by the criticisms and by collectors for his intense creativeness and for introdusing Italian art into the field of pop art. For this reasons today his works are considered a solid investment: in November 2013 one of his works was sold in the Dorotheum auction in Vienna for 446.800 €.